At the Century Boat Club annual show in the late 1980s. March 2004 after someone had started and given up on the restoration. Attention to detail. 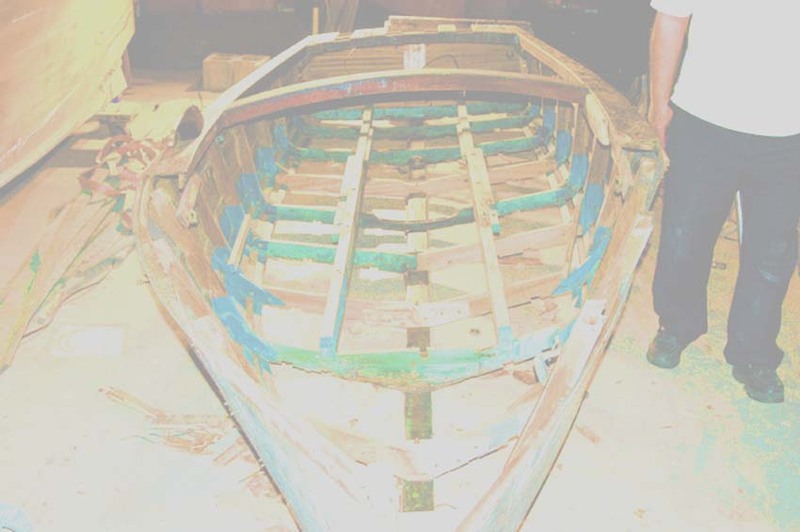 This boat was built with exposed head nails clinched to battens. It is being rebuilt the exact same way. Frame screws originally filled with cellulose wood filler are filled the same way. The hull with several coats of spar varnish. locating the new authentic water release decal on hull. The original plank with decal remains and the new plank. The original 45 hp Graymarine engine re-installed and re wired. Hitting the water for the first time in well over 30 years.